SculpSure is here. Get a slimmer appearance in 25 minutes without surgery or downtime. Even with diet and exercise, both men and women have stubborn fat they can’t get rid of. SculpSure is the newest option for non-invasive body contouring, with FDA approvals for non-invasive reduction of fat in the abdomen and flanks in a 25 minute treatment cycle. Dr. Bass was the lead investigator in one of the two FDA studies that resulted in this approval. Along with decades of surgical body contouring experience and extensive experience with other non-invasive technologies, he is well qualified to help you pick the best option. 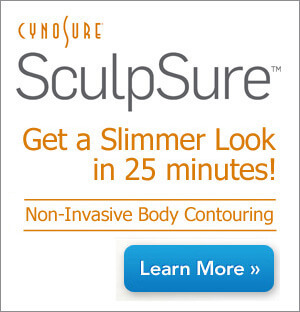 SculpSure is approved for the non-invasive reduction of unwanted fat in the abdomen and flanks. Bulges in the abdomen, love handles or the entire abdomen or flank areas may be treated. Other common areas addressed with body contouring treatments include bra-strap, inner and outer thighs, and male chest (gynecomastia). 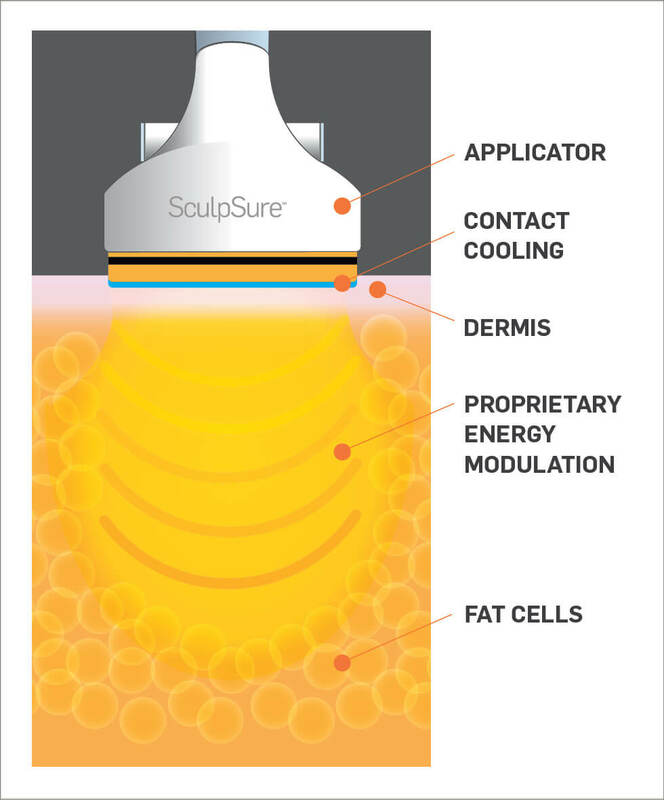 SculpSure delivers laser light through the skin to heat up and damage fat, while simultaneously cooling the skin. The exposed fat is removed by the body over several weeks time. During a treatment, up to four separate applicators are held against the skin with straps. A feeling of warmth or deep heating is typically experienced. Energy levels can be adjusted as needed for comfort. During the treatment you will lie or sit on the exam chair and may read, use your cell phone or take a nap. Each cycle of treatment lasts 25 minutes with up to four independent applicators being used in each cycle. Liposuction is the traditional treatment for flattening down bulges of unwanted fat. Non-invasive fat reduction treatments like SculpSure achieve the same goals without surgery, anesthesia or recovery time but in smaller amounts. For patients who need only a small or moderate contour reduction, or are willing to undergo multiple treatments in the same area, the non-invasive approach is ideal. Dr. Bass will advise you on the best options and possible alternatives during a consultation. Surgical and non-invasive body contouring treatments are not for weight loss but designed to change body shape, flattening bulges and harmonizing body parts that are disproportionate. One treatment is enough to cause a reduction in fat, flattening a bulging area. Depending on the thickness of the area and the desired degree of reduction more treatments may be necessary to achieve your goal shape. During the consultation, Dr. Bass will advise you on the likely number of treatments depending on your size and the areas being treated. Fat cells are permanently removed from the body after treatment with SculpSure, similar to what happens in liposuction. If your weight is stable, the fat should not come back. Our body size and shape changes our entire lives even at a stable weight, but fat cell removal, unlike dieting creates a more stable change. After the treatment mild swelling is common along with mild tenderness or a bruised feeling. 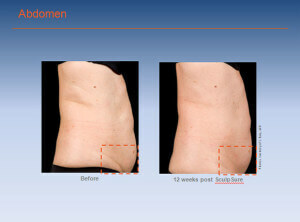 Occasionally mild firmness in the treated fat develops and subsides over several weeks. Tenderness typically lasts a week or two. During this time normal work and exercise is possible. The bulges typically are visibly less within 6 weeks and reach maximum reduction by 12 weeks. Click to watch the video of Dr. Bass treating Kristin Sollenne; get her personal opinion of how the treatment feels! Dr. Bass is a nationally recognized innovator and authority on advanced technologies in aesthetic plastic surgery. Over nearly the past 25 years, he has written and lectured extensively on his research in advanced surgical techniques including endoscopic and laser procedures. He has over 90 scientific publications in journals such as Plastic & Reconstructive Surgery, Annals of Plastic Surgery and Lasers in Surgery and Medicine. © 2019 BASS PLASTIC SURGERY PLLC. All Rights Reserved.